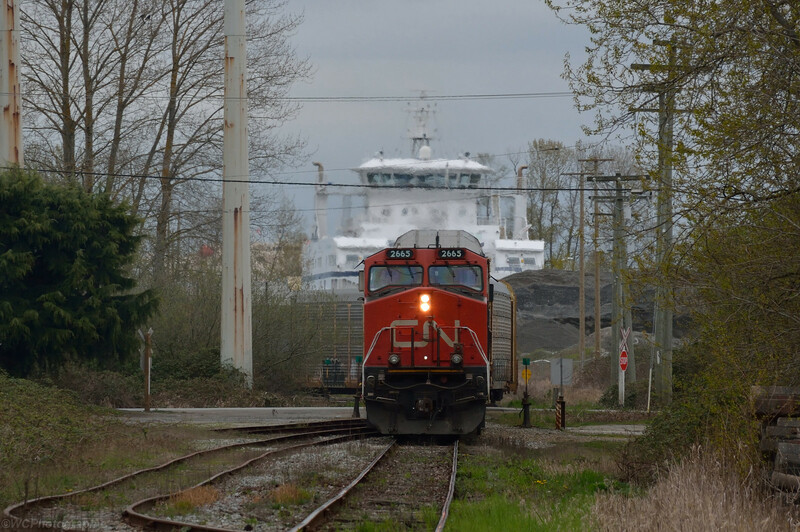 A CN switch job assembles a train of empty autoracks, to be spotted at the car carrier unloading facility at the end of the branch, with the Salish Raven in the background. April 14, 2018. You can't get much better than this for a photo on this forum ... A great rail shot with a dramatic ferry backdrop. 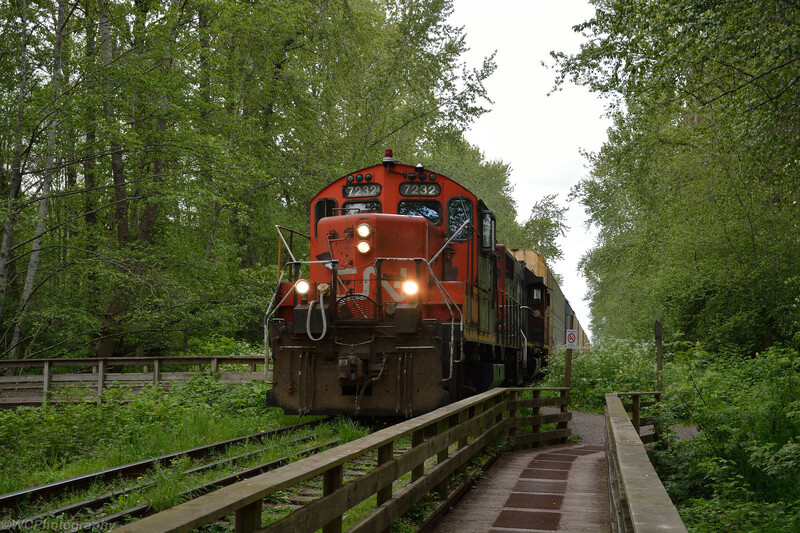 More Lulu Island branch action, this time with a 60 year old GP9RM in charge of the train. When I was away on vacation I was in Nelson for two nights! I stayed at the Prestige Inn which is right by the railway tracks! Numerous trains I saw go by! One went by early evening and one went by early morning every morning! The hotel I stayed at actually informs guests of the train at night and they supply earplugs in the rooms but it dident bother me at all! What I’m wondering is where would these trains be going or coming from??? 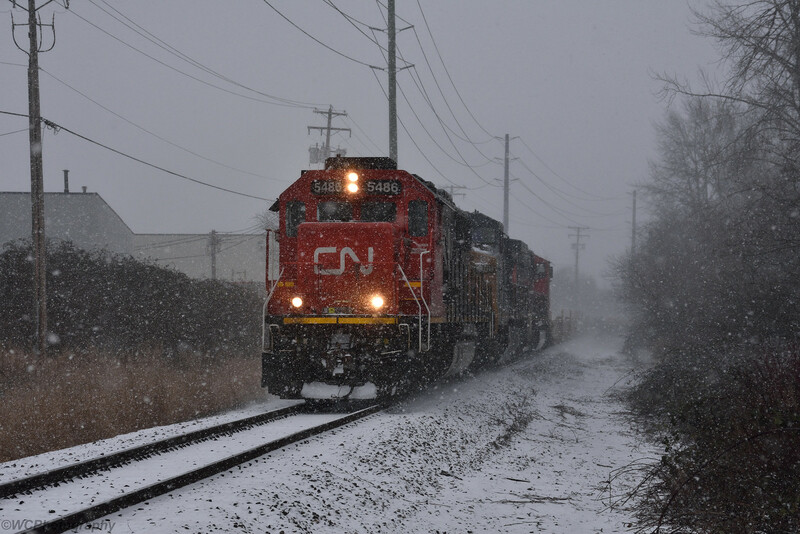 The one I did snap a photo of was a Canadian Pacific and that was around 5:30pm! I don’t know much about trains but was curious to where they would be going? 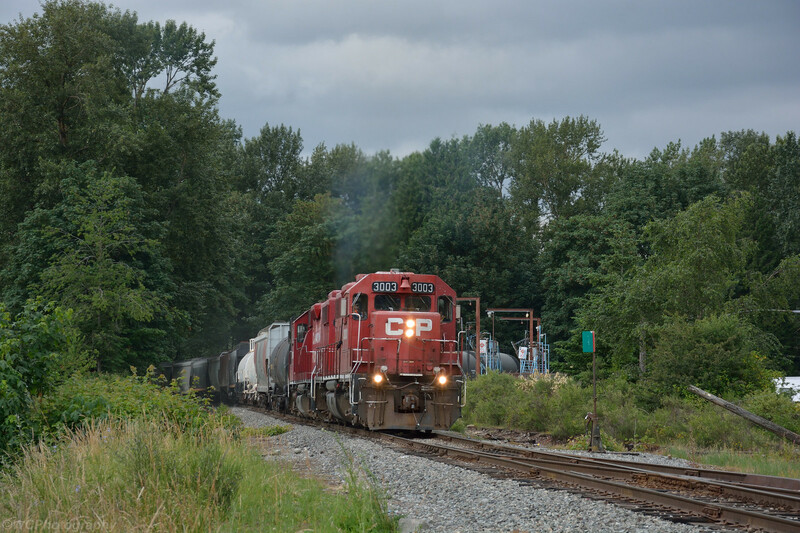 There are daily freights that run between Trail and Cranbrook. 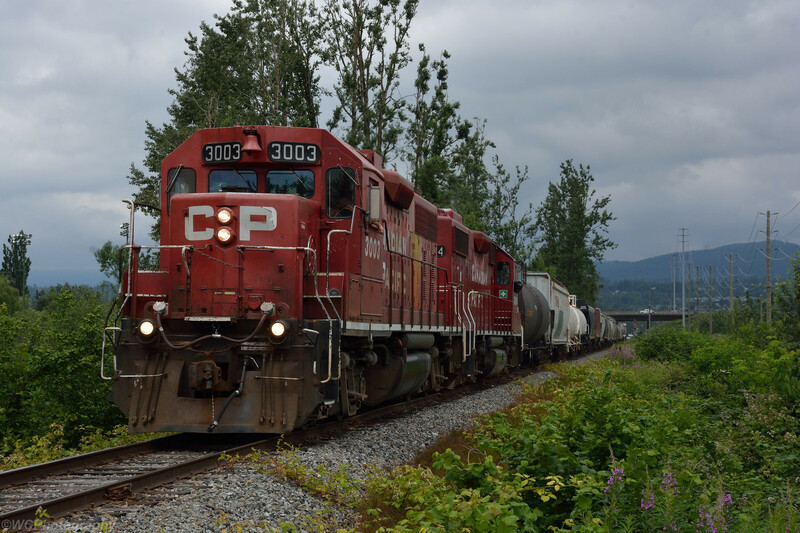 Two views of the southbound CP roadswitcher that brings interchange traffic to Huntingdon from Port Coquitlam, it uses the symbol V84, but is more commonly known as the Sumas Turn. Throttles wide-open as the train crests the hill into Abbotsford. I could hear the roaring of the engines for several minutes before the train came into view.